Not all contacts should be rewarded with a whistle. 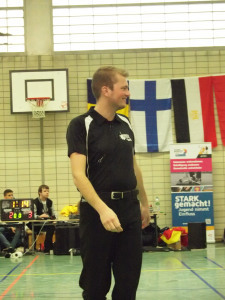 And knowing sometimes to be silent will get you a promotion from the group of good referees to that of the great ones. Check the clip Refmate has posted! The offensive player initiates the contact with his off hand. The defensive player is flabbergasted as the officiatingcrew decides contact means a foul. Replay this clip until you can dream it. Sometimes the offensive player is responsable for contact, but not all contacts mean fouls! You’d be taking 20% of the players life! Volgende Volgend bericht: Act of shooting!